Refreshingly customized pool home with over 1,900 sq ft is perfectly situated at the end of a cul de sac on a 10,920 sq ft lot. 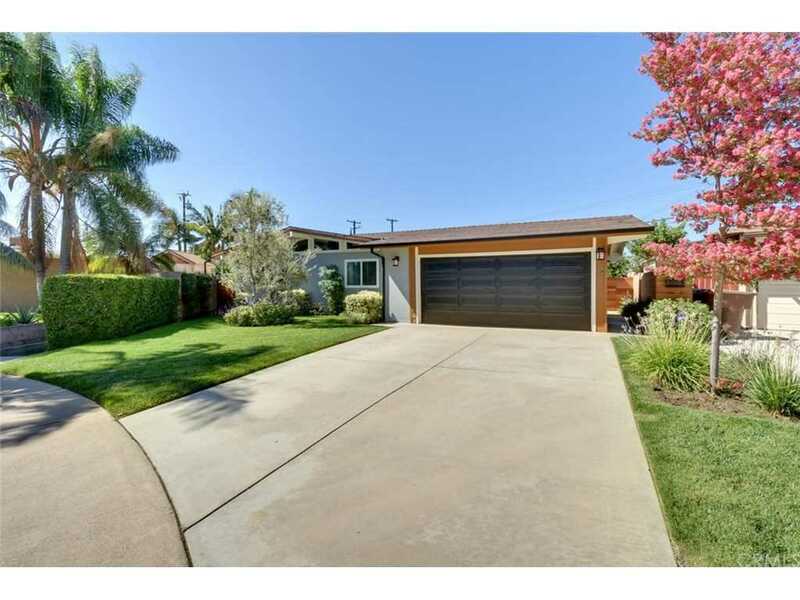 This high end single level beauty has been remodeled inside and out with no detail spared. The beautifully landscaped exterior leads to a private entrance and opens to the spacious living and dining room with adjacent bathroom that can also be a second master bedroom. Move to the great room with a designers kitchen including maple cabinetry, custom backsplash, stainless steel appliances, a moveable island, quartz countertops, and custom hardware. Opening to the family room you will notice the vaulted ceilings finished with shiplap, recessed lighting on dimmers, ceiling fan and granite faced fireplace. Each bedroom is spacious and complimented with a neutral paint palette, mirrored closet doors and dual pane windows. Custom sliding glass doors open to this entertainers dream backyard. Enjoy the privacy that comes with the sparkling pool, multiple sitting areas and fruit trees on this huge lot. The list of custom upgrades also includes a private laundry room, NEST thermostat, new HVAC system, new water heater, new rain gutters, paneled doors throughout, water proof laminate flooring throughout, retractable outdoor awning and more! This home has it all, don't miss out! DO NOT DISTURB OR GO WITHOUT AN APPOINTMENT- THERE IS NO LOCKBOX. Lot Size: 0.25 Acres / 10920 Sq. Ft. Directions:West to Reva, Turn Right on Timmy, go to the end of the cul de sac. SchoolsClick map icons below to view information for schools near 11841 Timmy Lane Garden Grove, CA 92840. 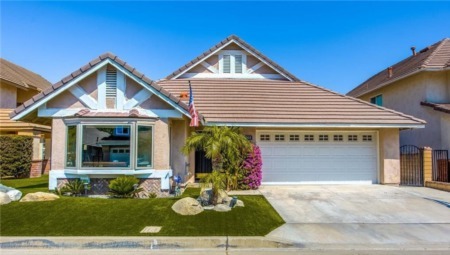 Listing provided courtesy of Kate Olivas, First Team Real Estate.